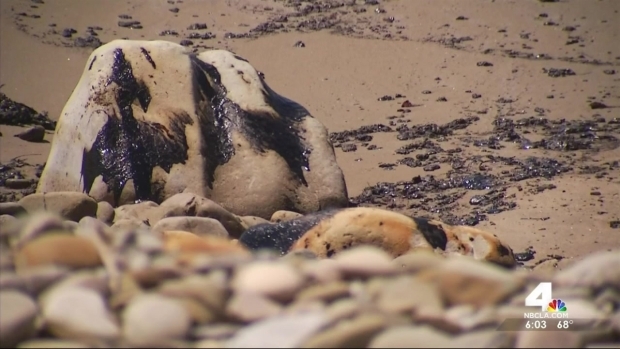 California Governor Jerry Brown on Wednesday issued an emergency proclamation for Santa Barbara County due to the effects of an oil spill near Refugio State Beach. Oil floating off the Southern California coast after a spill from a broken oil pipe now stretches about 9 miles, an overnight expansion that was "more than we anticipated last night," a U.S. Coast Guard captain said Wednesday. 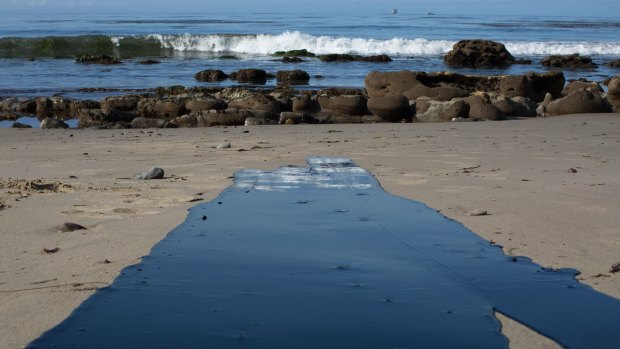 The spill along the coast near Santa Barbara dumped possibly as much as 105,000 gallons of oil from a 2-foot pipeline onto the Refugio State Beach shore, creating miles-long slicks in the ocean after leaking for several hours before it was shut off. The spill shut down popular El Capitan Beach and campground just days before the unofficial kick-off to the summer season, Memorial Day weekend, according to the Santa Barbara County Office of Emergency Management. 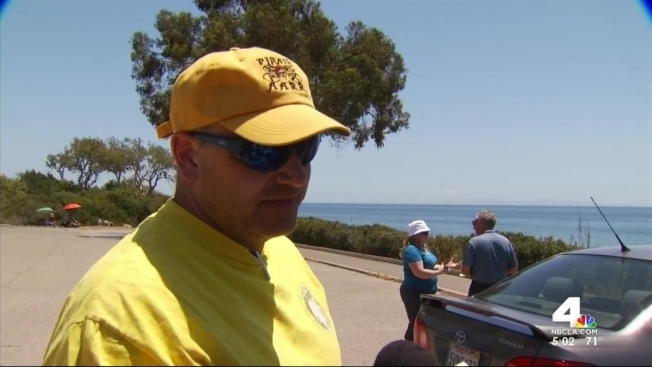 A family of campers recalls arriving to Refugio State Beach near Santa Barbara to find thousands of gallons of oil had been spilled into the ocean. Gordon Tokumatsu reports for the NBC4 News at 6 p.m. on Wednesday, May 20, 2015. Refugio State Beach is also closed until further notice, and camping reservations have been canceled through May 28. "It's important to remember this stretch of California coastline is unique to the world. It’s beautiful and pristine," Santa Barbara County Supervisor Doreen Farr said. "This is more than an inconvenience. This is just a disaster. We are taking it very seriously." Two different oil slicks total about 9 miles, U.S. Coast Guard Capt. Jennifer Williams said during a news conference Wednesday. Oil-doused rocks and black-spotted sand covered the shoreline. About 4 miles of Refugio State Beach were impacted by the spill. At least 20 barrels of oil were retrieved from the ocean, and 100 barrels picked up at the spill site, according to the Santa Barbara County Office of Emergency Management. Additional park and beach closure information can be found on the California Department of Parks and Recreation website. The company that owns the pipeline that broke and spewed oil into the Pacific Ocean says it's still unknown exactly how much oil was spilled, but the pipeline was operating at maximum capacity. Plains All American Pipeline LP official Darren Palmer said the pipeline was running at a rate of 2,000 barrels an hour — equivalent to 84,000 gallons. "Out of all transportation, pipelines are the safest transportation for moving crude oil," Palmer said. "I can't say we guarantee it won’t happen. We did everything we can to prevent it from happening." 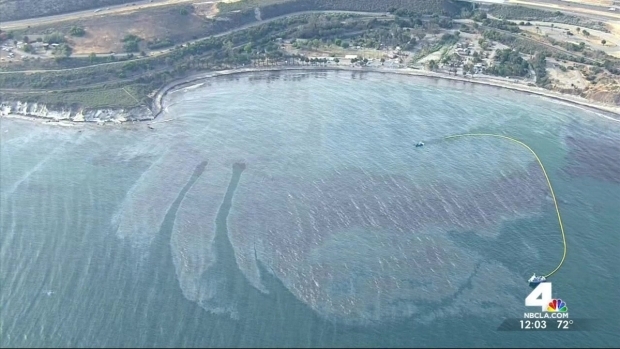 Initial estimates put the spill about 20 miles west of Santa Barbara at about 21,000 gallons. But Williams has said that figure was likely to change after a flyover gives a better sense of its scope. Vessels have deployed three sets of floating booms to try to keep the slicks from spreading, while other boats are skimming oil from the sea surface, she said. "It's a moving target. Unfortunately it's not an exact science when we're dealing with changing conditions out there," Williams said Tuesday, adding that wildlife should be able to recover from the damage caused from what she classified earlier as a "medium" spill. Authorities responding to reports of a foul smell near Refugio State Beach around noon Tuesday found a half-mile slick already formed in the ocean, Santa Barbara County Fire Capt. Dave Zaniboni said. They traced the oil to the onshore pipeline that spilled into a culvert running under the U.S. 101 freeway and into a storm drain that empties into the ocean. An oil spill off the Southern California coast left a slick down the coastline that has now reached a total of 9 miles, a US Coast Guard official said. Vanessa Ruiz reports for the NBC4 News at Noon on Wednesday, May 20, 2015. Aerial video from NewsChopper4 showed that the spill happened in a portion of the pipeline above ground on land near the beach and made its way down to the sand and into the water. The pipeline spewed oil down a storm drain and into the ocean for several hours Tuesday before it was shut off. Plains All American Pipeline says it then stopped the flow and blocked the culvert. "We are very sorry this accident happened. We're bringing all our resources to help," Palmer said. "Our focus remains on safety of first responders and protection of environment. We are committed to thorough cleanup of this accident. We are sorry for the inconvenience of this spill to the community."